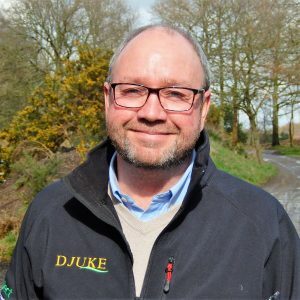 DJUKE, the specialist sports turf maintenance company, managed by former Queenwood course manager Cameron McMillan, has purchased a Ventrac 4500 compact tractor and a selection of implements to enhance the company’s service portfolio to golf courses and other turf-related businesses. The new package of machinery was delivered and installed by local dealer, RT Machinery, based at Nether Winchendon, Aylesbury in Buckinghamshire. Cameron McMillan, who was at Queenwood for 15 years through the initial construction phase, grow-in and the opening in 2001 until 2015, is one of the McMillian dynasty that has managed many prestigious golf courses in the south of England. We purchased the Ventrac to broaden our service offering to our growing client base, he said. Since establishing the company in 2015 we have become known as aeration and drainage specialists through our DryJect, Graden and PC Drainage franchises. We are now enhancing our range of services to help customers maintain everything within the boundary of their property. Our initial purchase included Ventrac’s ToughCut deck, the Power Rake and a Power Brush. Woodland management is a time-intensive task for any on-site greenkeeping team. The ToughCut deck is excellent for managing these areas; it can cut through bracken, brambles and young saplings with ease and leaves a very acceptable finish. The Power Rake is very impressive. We had a demonstration on a foul day and it renovated the surfaces of machinery pathways and golf car paths with ease. 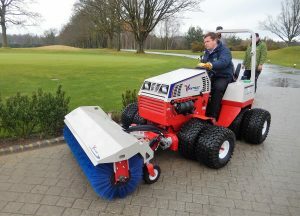 The Power Brush is typical of Ventrac’s attachments, easy to connect to the tractor and highly efficient in use. 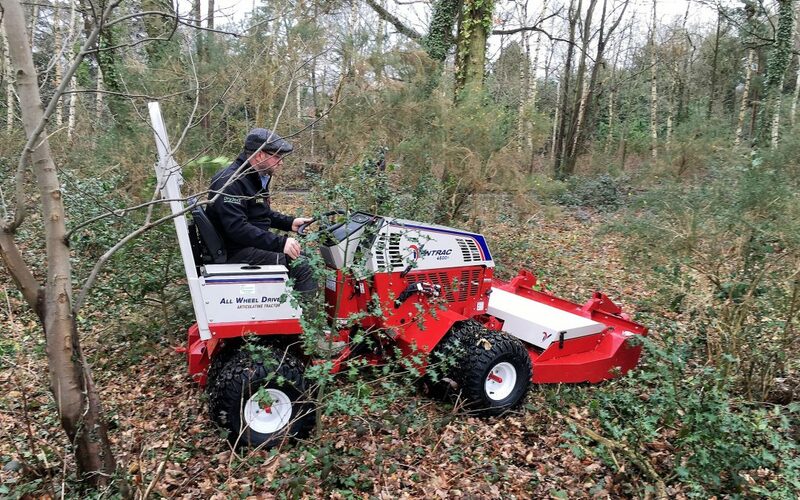 I can’t believe how compact, powerful and manoeuvrable the Ventrac is, whichever attachment is connected. 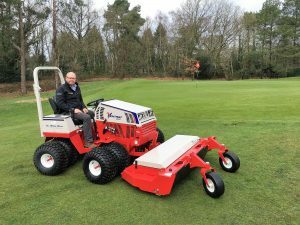 Without doubt this addition to our fleet will enable us to improve the non-playing surfaces for our clients and provide business opportunities that were not previously open to us. I’m delighted with the machinery package and the superb service provided by Rupert Price and his team. Cameron McMillan has been in the fine turf industry for 36 years, beginning his career as a trainee at Sunningdale in 1982. He moved to Liphook as head greenkeeper at the tender age of 21, before getting involved with his first construction project at Pffafing Golplatz in Bavaria in 1990. In 1992 he joined Laleham Golf Club in Chertsey as course manager, moving to Stockley Park before taking the position at Queenwood in 2000.